Wedding Cake Rock, also known as White Rock, is a unusual limestone rock formation located in the Royal National Park near Bundeena, New South Wales, Australia. This sand rock is unusually eroded into a perfectly cuboid shape and resembles the squared silky layers of a white wedding cake. Its colour is caused by iron in the sandstone leaking out and leaving it pure white. This has also contributed to the significant weakening of the rock formation. The rock is one of many limestone formations that appear north of Marley Beach, and is suspended 25 metres (82 ft) above sea level. Wedding Cake Rock is noted for its scenic location and popularity with bushwalkers and tourists, as an attractive location for photography. Its reputation, however, was damaged after the landmark saw a sudden spike in popularity in 2015, and subsequently fell victim to vandalism. 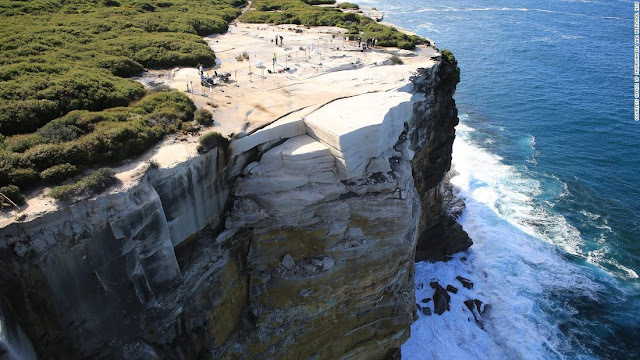 For safety reasons, National Parks and Wildlife Service (NPWS) closed off public access in May 2015 to carry out investigations into the stability of Wedding Cake Rock. 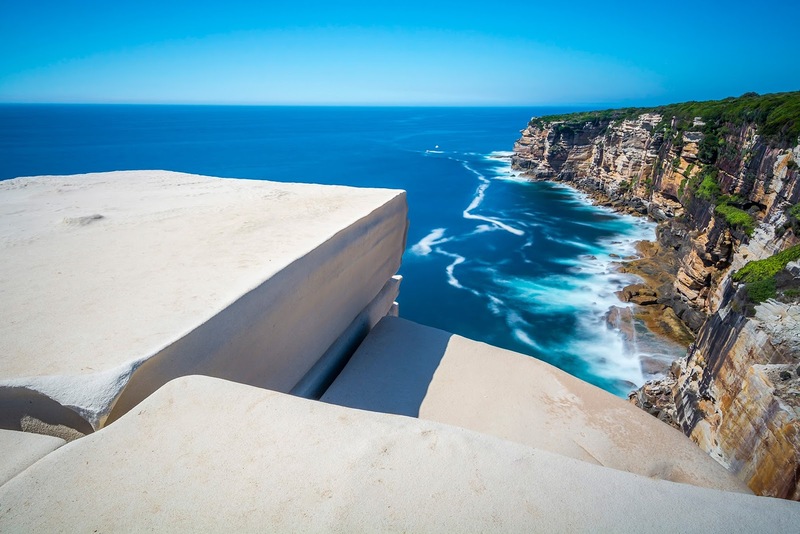 The closure of the rock came after hundreds of photographs were shared across social media of people performing dangerous stunts on the Royal National Park attraction. The study found that the formation was not only unstable, but was certain to collapse at anytime within the next ten years, with the entire structure being described as "precariously balancing on the edge of the cliff, and severely undercut", seeming to be only upheld by very few pieces of debris from a recent major fracture below the rock. The rock will remain closed to the public until its eventual demise, though there are plans to establish a permanent viewing platform near the landmark.